A paleo snack or breakfast that’s worth celebrating? Sausage balls to the rescue! These nutrient dense, high protein snacks fuel the mind, rev up the metabolic rate and increase satiation. 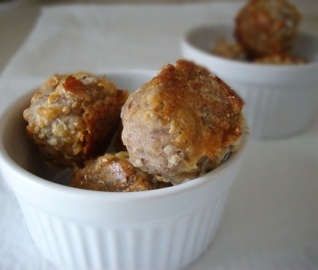 This sausage balls recipe is a take from Paula Deen’s sausage balls, yet this is a healthy sausage recipe that doesn’t require flour or grains of any kind. Watch out for nitrites when picking your sausage for this recipe. Nitrites and nitrates are preservatives with a host of negative health consequences, cancer and weight gain among them. See this post why you should avoid them. I consider these sausage balls to be a great, nutrient rich Paleo snack that you can take with you on the run. Their complex flavor and satiating ingredients (almond flour and natural sausage) will keep you satisfied for hours. Complete with nutrition information at the bottom of this recipe, there is no reason why you shouldn’t try these as soon as possible. A healthy Paleo snack that will fuel your mind and body for hours. Sift together the almond flour, baking powder and salt in a medium mixing bowl. Process shortening (or butter or coconut oil) into the flour mixture with a pastry fork until it resembles fine, soft crumbs. Set aside. In a large bowl, combine sausage and cheese. Process 1½ cup of the flour mixture into the sausage mixture until well combined. Work sausage mixture into 1 inch balls and place on glass baking dish. Bake at 350 degrees for 20-25 minutes, or until the sausage is cooked thoroughly. Do you have a favorite Paleo snack that you would like to share? 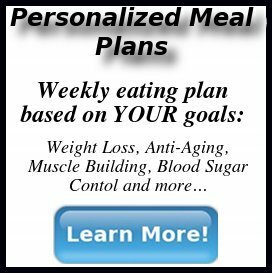 Since I’m grain-free (and sugar-free), I consume a Paleolithic type diet, still choosing to consume majority raw foods, combining it with a Weston A. Price philosophy. These sausage balls definitely fit the bill. Fairly soon, I would like to find a way to make these with raw ingredients, like nuts, seeds and perhaps a small amount of vegetables. 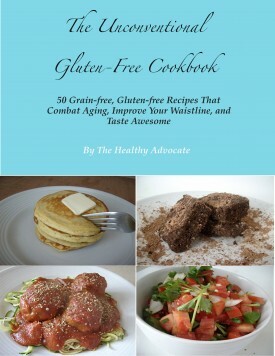 You still have time to be placed in a drawing to win my free grain-free, healthy low-glycemic cookbook eBook, The Unconventional Gluten-free Cookbook. See the full details of how you can enter, and how many entries you can make, at this blog post. The drawing is held in two days, March 12, 2012. Ooo I like how simple this is and a great alternative for GF’ers! I am def going to try these with turkey since I don’t eat pork, yum! Glad you liked it Heather! I’ve actually made this with ground turkey sausage, as well as the beef, and it still tastes great. Let me know how it comes out. You are currently reading "Sausage Balls"